Explanation: City lights shine along the upper east side of Manahattan in this dramatic urban night skyscape from February 13. Composed from a series of digital exposures, the monochrome image is reminiscent of the time when sensitive black and white film was a popular choice for dimly lit night and astro-photography. Spanning 2 minutes and 40 seconds, the combined 22 frames look across the reservoir in New York City's Central Park. 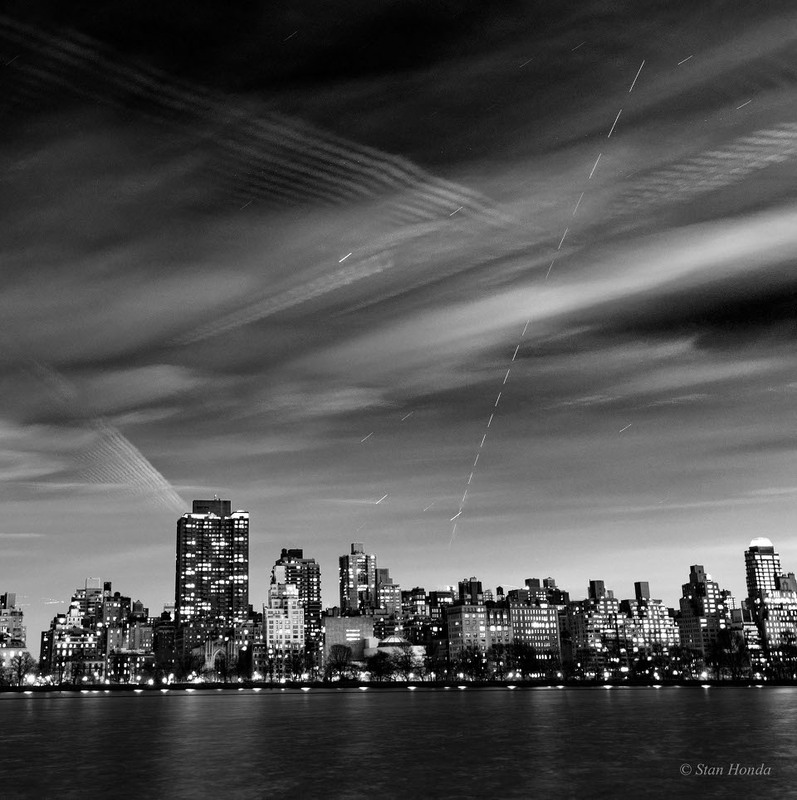 Stars trail in the time-lapse view while drifting clouds make patterns in the sky. Traced from top to bottom, the dashed line in the surreal scene is the International Space Station still in sunlight and heading for the southeast horizon. The short time intervals between the exposures leave gaps in the space station's bright trail.